I think a more generous glug of the white balsamic would have piqued our interest more. As per the recipe, they were merely so-so. A bit of a non-event. Plenty of tastier baked polenta recipes about to warrant making this again. This was a really good recipe... but a similar recipe by Annabel Langbein is an amazing recipe, with more oomph & depth of flavour. Righto. I’ve had many lamb shanks in my time, but these are a serious contender for best shanks ever. 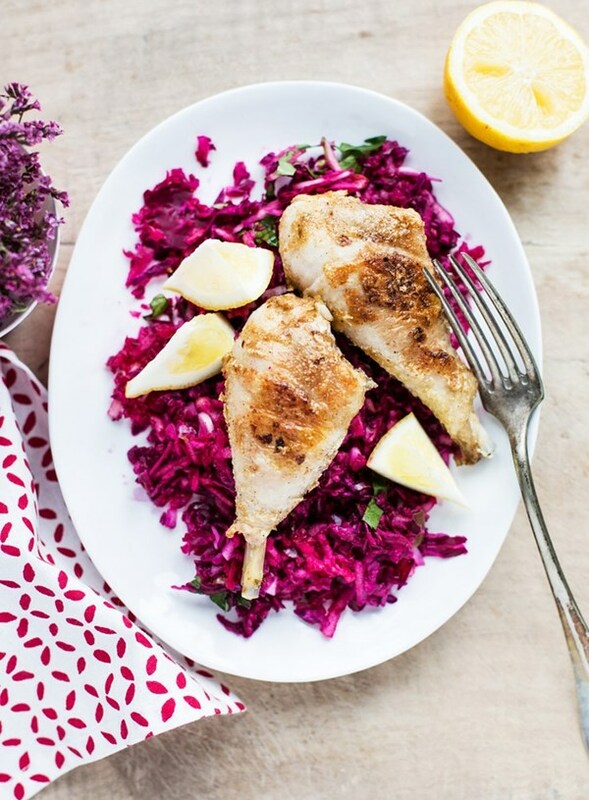 Delicious, simple, no fuss. An absolute winning recipe. Whilst everything went well as per the recipe, there was nothing flavour-wise that is going to rock the world of risotto. Perfectly serviceable though. I was surprised how much flavour the beetroots took from the cinnamon & star anise. A simple puff pastry tart, but lots of flavour. With a glut of apples from our trees, I’m on the search for the penultimate crumble recipe. This is not it. A perfectly serviceable recipe, but there’s nothing of particular note within this recipe. Quite tasty with very little prep required. A stunningly illustrated cookbook that celebrates the best produce to cook in each season. Harvest is divided up by season, showcasing more than 180 delicious recipes using produce when it's at its best. Accompanied by stunning photographs and evocative watercolor illustrations by Emilie Guelpa, the recipes are simple yet sophisticated. Embrace the summer sun with Seared tuna with fennel confit, or Butterflied king prawns with mango; watch the leaves fall while indulging in Chestnut risotto with sage and pancetta or Five-spiced duck with pomegranate salad; snuggle into winter with some Chipotle-braised beef ribs with spicy baked pumpkin or an Apple and quince pie; or celebrate the freshness of Spring with Moroccan broad bean salad with yogurt and crispy breadcrumbs or Blood orange and dark chocolate trifle. 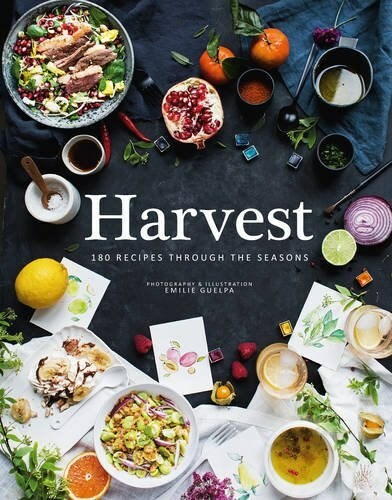 Harvest will inspire you to build delicious seasonal feasts for any occasions in the year.